If your vehicle features a trim package that has factory installed fender trim, it will need to be removed before installing your Putco fender trim. Give your truck that little extra wow factor with Putco stainless steel fender trim. 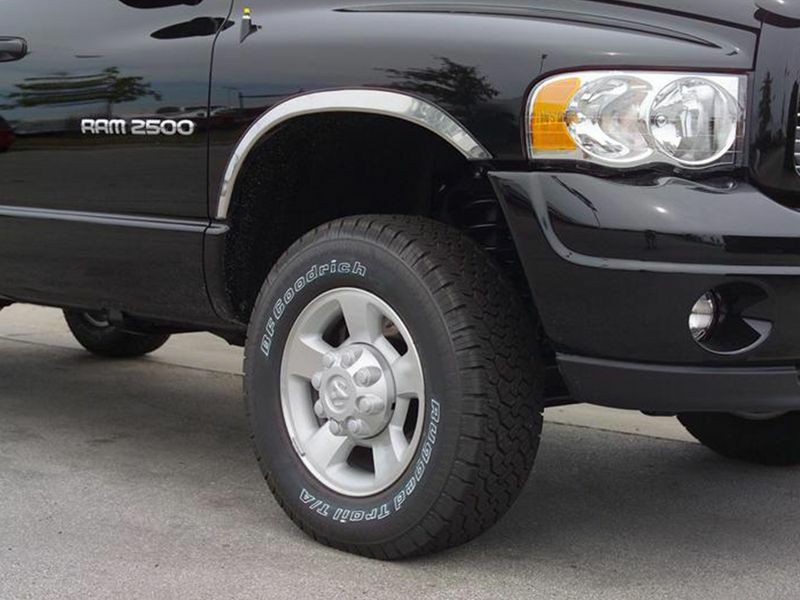 Adding fender trim will help your truck stand out from the crowd and draw attention to your wheels & tires. Putco fender trim is made from the best available stainless steel. The fender trim is then polished to give it a chrome-like finish. Mounting your fender trim is simple and easy with the provided stainless steel hardware. Putco even includes UV resistant rubber gaskets as protection against moisture and for a customized fit. Putco fender trim is an inexpensive way to for you to make your truck stand apart and to help protect your paint from damaging rocks & debris. This fender trim will go great with any of Putco's other great chrome accessories. Putco fender trim offers an easy at home installation. Stainless steel hardware is included and there is no drilling or cutting required. For additional information see the installation instructions below or call us at 1-877-216-5446 or 701-253-5906.